Colleen M. Armstrong, 79, of Brodhead, passed away unexpectedly on Sunday, Jan. 29, 2017, at Mercy Hospital, Janesville, Wis. She was born on July 2, 1937, in Beloit, Wis., the daughter of William F. and Frances M. (Williams) Armstrong. Colleen had worked at the Wright and Wagner Dairy of Beloit and then for the Kodak Co. in Madison, Wis., for fifteen years. She moved from Madison to Brodhead in 1990. Colleen was a member of the Congregational United Church of Christ and the Brodhead Garden Club. She loved all animals — especially squirrels — reading, working on puzzles, doing crafts, and going out for breakfast. She is survived by her significant other, Sue Colstead, Brodhead; two sisters, Susan (David) Abrahamson, Orfordville, Wis., and Sally (Bill) Hanawalt, Nekoosa, Wis. She was preceded in death by her parents. A Memorial Service will be held at 1 p.m., Friday, Feb. 3, at the D.L. 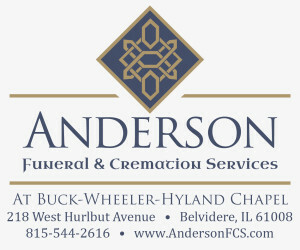 Newcomer Funeral Home in Brodhead, with Rev. David Frey officiating. Burial will be in East Lawn Cemetery, Beloit, Wis. Visitation will be held from noon on Friday until time of services at the funeral home.